50% of the profits from Opus IV go to the National HIV/AIDS Prevention and Control Program (NAP) in Oman. Yay! I think the Opus bottles are so pretty & elegant. Speaking of… did you decide on a wedding fragrance??? seriously, though, in the last 24 hours I had been thinking about Carillon Pour un Ange as a top candidate. but there will probably be another one in the next 72 hours. Six months is time to fall in and out of love a dozen times… I’m sure what ever you decide on will be perfect!! Oh yes, you’ve got it! What a great day. You have all those special memories close at hand now. So pleased, it’s all yours. Enjoy it lots! So funny, because I was reading up on all the Opus fragrances today. P.S. Your care package is on it’s way! Were you really just reading about them??? I think they are terribly under-rated. I hope you will try them soon! I really was! I’m on my own in the office on a Friday so it’s a good chance to carry out some “research”. I’m hoping to find my own perfect Amouage one of these days and I didn’t really have a handle on the Library Collection. I’m still not sure any of them are for me but intend to try them all now that I have a better idea. Opus IV is top of the list! I first smelled IV on Matt, who frequently is first to test something new (since I’m often already wearing something when samples arrive), and I remember the progression of, “Huh, that’s weird! Let me sniff again,” on his skin, then slowly smelling it evolve and unfold… It utterly fascinated me for days (and weeks and months). The whole collection is excellent, but this one is always a surprise and a delight to wear! 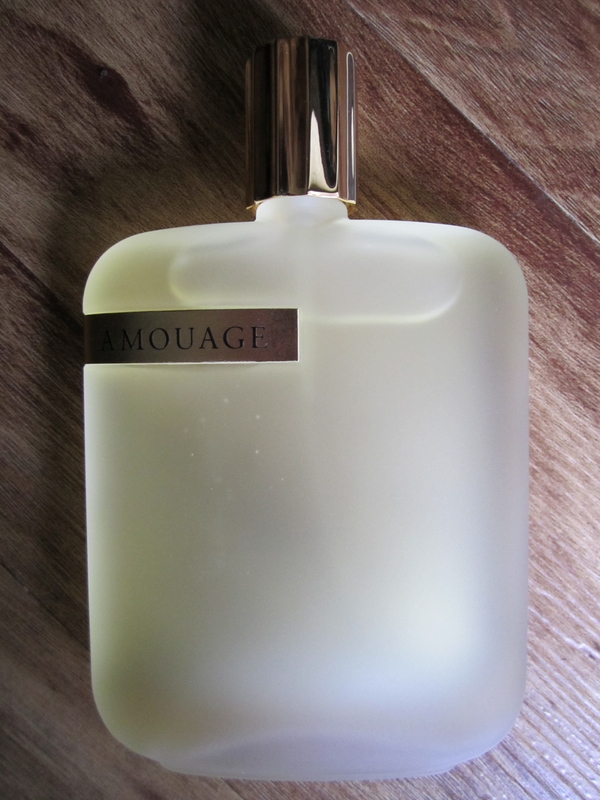 I’m confident that you’ll find your perfect Amouage! Oh I hope they won’t be discontinued. 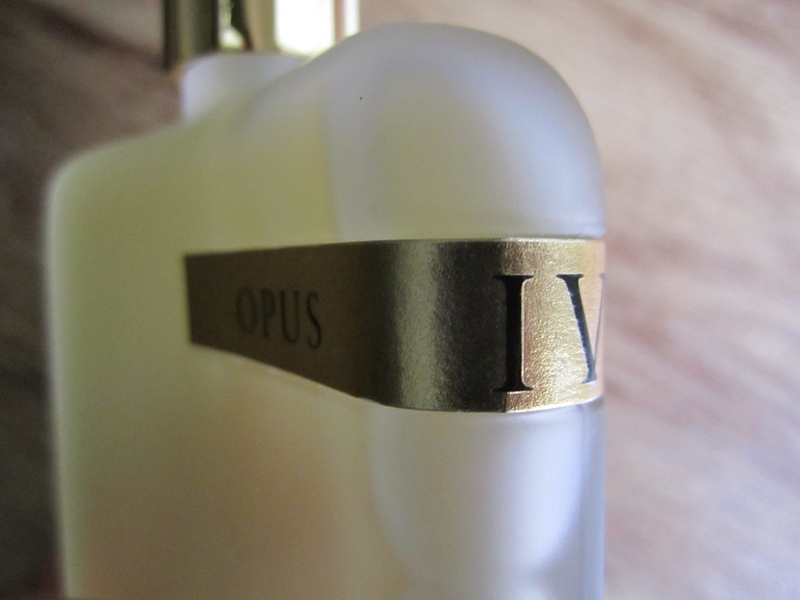 It was fun reading about the actual fragrances because beforehand I only knew them as Opus I – Suzanne, Opus IV – dee and Opus V- Carrie Meredith! I think some of the best perfumes first inspire the word “weird”. It’s usually a sign of complexity and originally. I didn’t know you normally test most new samples on Matt. What a wonderful couple you are! Weird, at least at first, really does it for me: Memoir was the same thing! My husband is crapping his pants (excuse the terminology, but it is most appropriate), because our shop just sold out of your hubby’s music— he can’t believe the connection 🙂 How fun is that?? This is fun! I’m already planning a road trip to Ohio in my head, lol! I can totally relate!! The first thing is I saw “do you know Brian Eno’s music?” and if they say no, then there’s nothing more I can do! If they say yes, then it’s a little easier to explain! That would be great to visit us!! Esp since Aaron and Erika (Dilloway) live a coupla blocks away! Haha, this is so rad! Yes, Brian Eno is a good touchstone— I’m going to steal it 🙂 When people ask, I usually just let out a deep sigh and scrunch my face. Eno is a better tactic, I think! Matt and I have frequently discussed the parallels between his community (niche experimental electronic) and mine, and here is another one! Most funny to me is that we’ve “known” each other quite some time, without realizing this connection. I love that Aaron Dilloway lives a few blocks from you! It’s a small world! This connection is SO cool! What are the chances? This type of thing makes me soo incredibly happy – more proof that we’re all related in one way or another! bloody frida, it makes me very happy too. It’s comforting to feel that we are connected in some way. I can imagine. I found it exciting and I’m not even involved! Do sort out a trip to Bloody Fridaville, I’d love to read about it. 😀 These kind of discoveries are so much fun!!! I want to go the Bloody Fridaville too! Yay!! I am glad you got your bottle and your review makes this scent sound soo gorgeous! It is gorgeous, though I think that it’s not widely loved— I’m on a mission to change that though!!! Well, done. Could not have come at a better time huh? And that is fun about the musical connection between your and Frida’s menfolk! There really is something in that degrees of separation thing….